STAR SERVICE has decided to expand its presence in Italy, in addition to the deposit of Rivalta Scrivia (AL) (the main terminal for Northern Italy with availability of both 10′ ArcticStore of 3 meters, 20′ ArcticStore of 6 meters, and of 40′ ArcticStore of 12 meters), the one in Roma (active since 2014) and the one in Cagliari (active since 2015), The first 20′ ArcticStore units are therefore available in Bari to ensure speed of delivery and low cost in the whole South Central – Adriatic area. 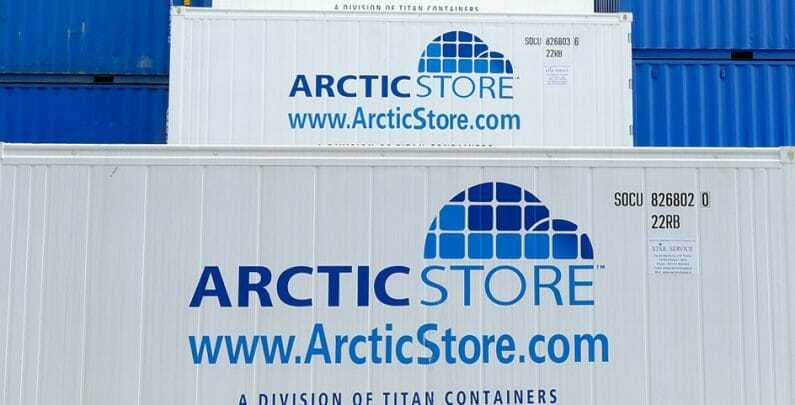 We remind you that Star Service supplies ArcticStore containers for “turn-key” rentals both short (7 days), medium and long term. Our refrigerated containers are true mobile cold stores with smooth internal floor, electrical system for lighting, visual and audible alarms that can be operated from inside if an operator needs assistance, the possibility to unlock doors from inside and plastic curtains to avoid thermal shock when opening the doors. Moreover, we are using the powerful Thermo King Magnum Plus automatic cooling and heating unit, reliable, silent, with extremely low energy consumption and able to guarantee a temperature range from -40 ° C up to + 30 ° C.
And, for our customers, assistance 7 days a week through a dedicated Arctic Store e-mail address to use in case of anomalies, requests for clarification and general queries. For further information and offer requests, please do not hesitate to call our offices at 010 4695304 or drop us an e-mail.